Compared with DPABI v2.3, GRETNA v2.0.0 and CONN v17.f, the differences are listed in the table below. In conclusion, BRANT can directly support *.gz for most postprocessing functions, use OPENCL-based parallel computing for time consuming FCD/FCS calculation to save time. 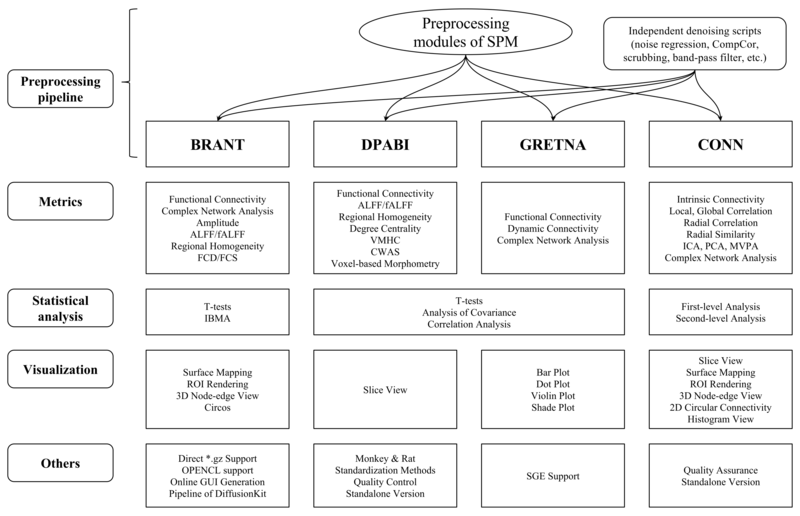 Other than focusing on several specific types of rs-fMRI data processing, functions of BRANT cover a wide range of rs-fMRI data processing methods. Also, GUIs are created automatically with a few lines of MATLAB code instead of drawn manually. In some fuctions, you may have to use some *.csv files to input data. If you cannot find any proper existed *.csv files, you can create a *.csv file by Excel or Notepad. e.g. 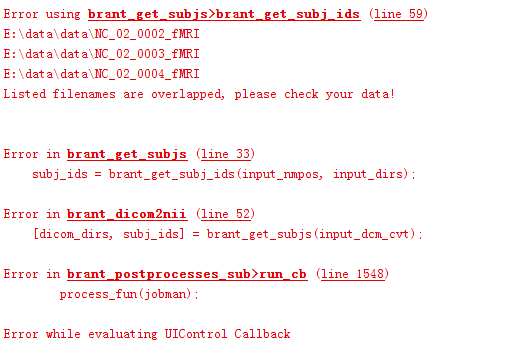 This brant_roi_info.csv file can be found in the folder as the out dir of ROI Calculation in STEP 4. This brant_circos_3mm_273.csv file can be found in the */Matlab/toolbox/brant-master/circos. Here are some common errors with their reasons and solutions below. You can also modify parameters with the help of examples and rerun former steps. If these all cannot work, please contact us. Solution: Delete files created before the error occurs. Read example to use id index properly. 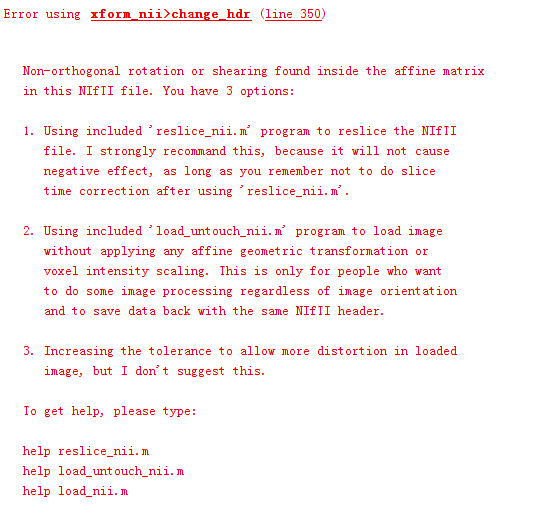 Reason: The preprocessing may be interrupted and create wrong *.nii files. 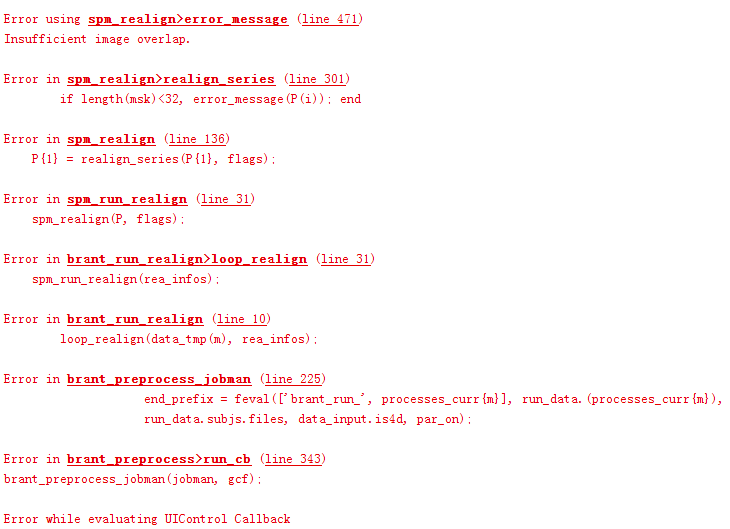 Solution: Delete files created during preprocessing, examine your preprocessing settings and run preprocessing again. Reason: TR(s) in Preprocessing is zero. Solution: Set tr(s) in Silce Timing to a legal value. Reason: The table file is incorrect. Solution: Confirm that the table file contains a row with group information and contains only one row. Open it with notepad to check if the data in this file is divided by comma. 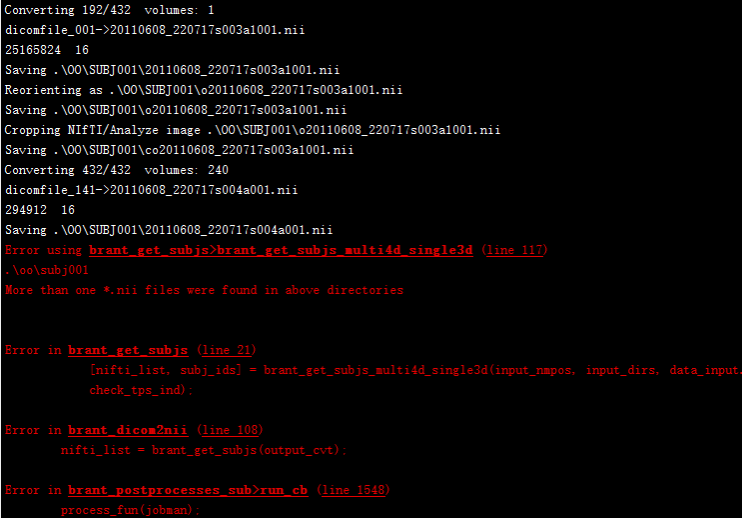 Reason: More than one *.nii files were found in above directories. Solution: Uncheck the delete first N timepoints or convert just one set of data per time.